Like her famous cousin, Supergirl originally came from the planet Krypton, but was transported to Earth and became an alien superhero accepted by the masses. Although there has been a lot of recentnews about the Earth-based characters in the upcoming Supergirl TV series, we’ve barely heard anything about how Kara Zor-El’s Kryptonian heritage will play a role in the series…until now. It was announced today that Nashville actress Laura Benanti has been cast in a “key” recurring role as Kara’s birth mother Alura Zor-El. Deadline describes Alura as a “strong noblewoman” who sends her daughter to Earth when Krypton is destroyed. During Kara’s journey as Supergirl, Alura’s “wisdom and guidance echoes across space and time” and they'll be of enormous help to the superheroine. Benanti is the third actor to join Supergirl, following Melissa Benoist being cast as the titular protagonist and Mehcad Brooks joining the show as Jimmy Olsen. Like most of the Supergirl characters announced, Alura originates from the comic books. However, unlike Superman’s parents and the majority of Kryptonians, in the comics, Alura, her husband and the other citizens of Argo City were shrunk by Brainiac and added to his collection of civilizations before the planet’s destruction. The article’s wording suggests that TV Alura will be among Krypton’s deceased, filling a similar role to Superman’s birth father Jor-El. 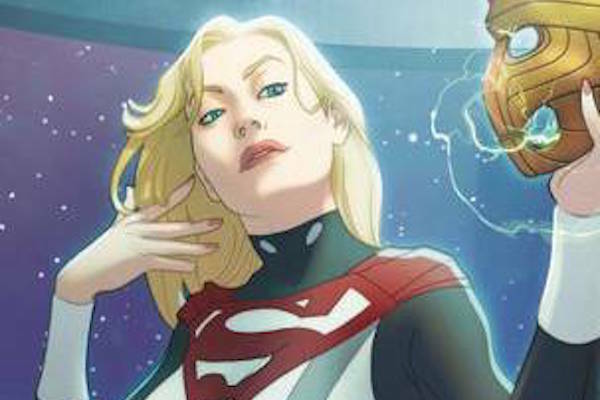 Going off the “echoes across space and time” part of the description, I’m wondering if the Supergirl TV series will adapt a recurring element from the Superman comics, movies and TV shows and make Alura an AI (artificial intelligence) that will communicate with Kara in the present day. The real Alura may be dead, but a synthesized version of her can assist Kara in learning about her Kryptonain heritage and occasionally dealing with bad guys. Outside of flashbacks, that’s primarily how Jor-El has been seen, whether that was on a crystal wall in Superman: The Movie or in a Kryptonian vessel in Man of Steel. Although primarily a stage actor, Benanti has also built an impressive resume of TV work. In addition to playing Sadie Stone on Nashville, her recent appearances on the small screen include recurring stints on Royal Pains, Law and Order: Special Victims Unit and Nurse Jackie. This will be her second project with executive producer Greg Berlanti, as she previously worked with him on the 2008 series Eli Stone.